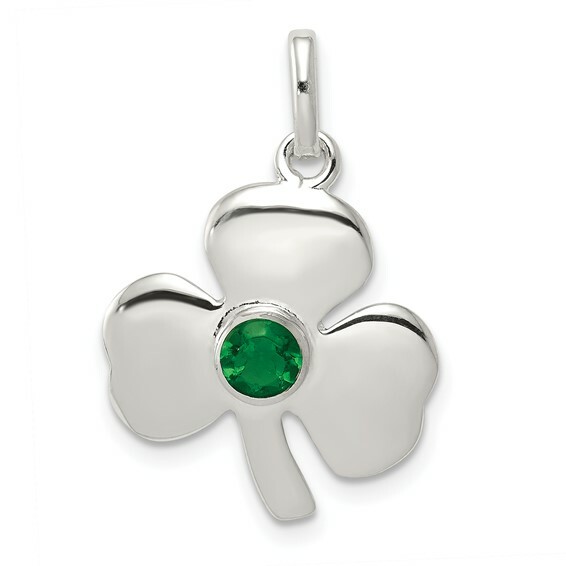 Sterling silver clover charm has a round green glass accent. Measures 11/16 inch tall by 5/8 inch wide without bail. Weight: 2 grams.